But you may see above mentioned exception while running this program. You need to add the Servlet API to your classpath. 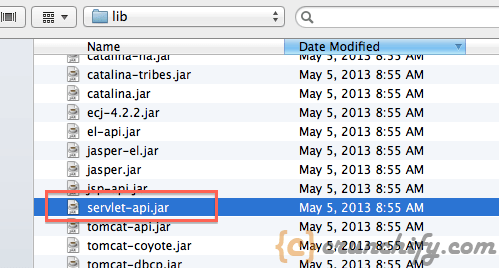 In Tomcat 6.0, this is in a JAR called servlet-api.jar in Tomcat’s lib folder. 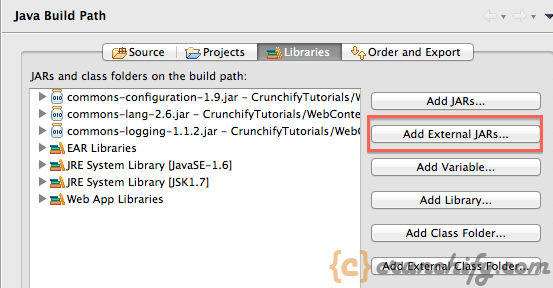 You can either add a reference to that JAR to the project’s classpath, or put a copy of the JAR in your Eclipse project and add it to the classpath from there. Right-click the project, click Properties. Browse to find servlet-api.jar and select it. Find servlet-api.jar in your project and select it.